Hotel costs are the major costs on any leisure trip. Malati and I have made numerous leisure trips across the world. With time, experience and a lot of hindsight our planning and our hotel selection has become more focused and precise. W hich means more comfortable and convenient stays. And it follows of course a more pleasurable holiday and pleasant memories ! While price is important the biggest challenge I have faced is in deciding the location of the hotel . In the past, I would have got a good price, and a great deal with lots of add- ons only to find that the hotel is far away from most places I wished to visit and nowhere near public transport. As a result the holiday became a drudge and the simple thought of a long walk to the metro was enough to dampen my spirits even before the day started! However with experience I have evolved a easy process to arrive at the best choice of the location. So lets take a look at these simple steps. City Centre or Away? This is the first decision point in selecting a hotel location. Do you prefer to stay away from the city center where the hotels are cheaper and then use the savings to pay for expensive local transport or stay in the city center where the hotels are slightly more expensive. I always prefer to stay in the city center as it offers great flexibility in sight seeing and also gives the option of returning to the hotel during the day for a mid afternoon or early evening siesta before setting out for a second round in the evening. Do keep in mind that Europe has 15-16 hours of daylight in summer and two sessions of sight seeing is possible in one day. If you are looking at night life would you like to trudge home in the middle of the night after a happy evening? Availability of transport back and security are issues to consider. The Holiday Plan – Define the broad purpose of your visit? Sightseeing? Shopping? Nature and landscape? History? Leisure- Lazy hotel stay? Eating ? Your broad purpose will lead you to the places of your interest – which is often different from what the tour guides say. Tourist guides sometimes list locations which in my view do not even warrant a visit. So if you are a first timer do some research. Some searches on the net for starters are “What are the top 10 things to do in say Rome” – “Things to do in Barcelona ” I found Trip Advisor a great place to start. Lonely Planet is another great site. I would suggest you buy a Lonely Planet guide from the local book store particularly during your planning process. Well worth the expense. Once you have gone through a few web sites you would get a feel of the city and the distances involved -Read reviews about the attractions and you will be able to make your own list of the things to see and do in a city – For example in Rome as a first timer my shortlist would take in the Trevi Fontana, Vatican, Spanish Steps, Colosseum, Pantheon, Capitol monument, Villa Borghese, Piazzas Navona and Poppola and the Campa de Fiori. 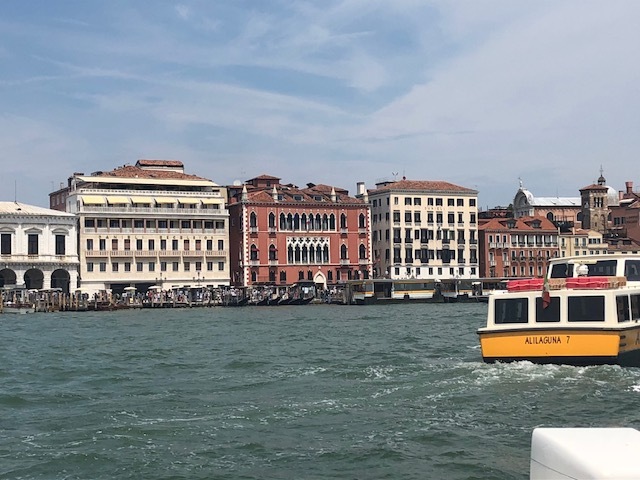 Add to this some shopping areas – we chose the Via Del Corso and Via Cortino and its offshoot lanes and you pretty much have a good starting list. Notice my list does not have any museums and Cathedrals except the Vatican and St Paul’s Cathedral.Your list could perhaps be cathedral centric! Or maybe even restaurant centric. Plot the Top Ten on a Map Once your top ten list is ready look it up on a map. Most cities across the world look like this – As an illustration I will show you how my list looked on a map of Rome. As you look at the map you will find most of my tourist attractions are to the east the river Tiber with the exception of the Vatican and the Airport (off this map). They form three distinct circles – around the Trevi Fontana covering Spagna, Trevi and the via Nazionale, Around the Rome Termini and around the Pantheon covering the Pantheon, via Del Corso and the Piazzas of Novona and Popoli. The famous Colosseum is however a bit away from all the other places of interest. You can make the circles larger or smaller or add or subtract places on the map. The Itinerary – With the map in place make out a workable itinerary. Club the places in reasonable proximity to each other. For example the Trevi Fontana and the Spanish steps are close by which could be covered in the same day. Add the Keats museum and the shopping street Via Cortino to this and you have pretty much a full days activity. The Vatican is off these spots and perhaps may need a full day to cover. And so when you have a itinerary and the three circles drawn the best location of the hotel stares right at you – Voila – You have found the best location. In my example I chose the Spagna area. With a bit more research on price and hotels I chose the Hotel Mozart, just off Via del Corso and a stones throw from the Spanish steps and the Trevi Fontana. off Stephenplatz. All of my list with the exception of the Schonbrunn palace and Donnau Insel were within walking distance. With a little more research I landed at the Hotel Domizil a few steps away from St Stephen’s cathedral. Try this out for any place that you plan to visit. In just a few simple steps you can select the best location of the hotel which suits your sight seeing itinerary. Going through these steps will also also broaden your understanding before actually arriving at the hotel. A well planned location will help you maximise your time, and leave you with pleasant memories – Unlike one of my earliest visits – Malati and landed in a hotel far from both the airport and the city and spent most of the time and money commuting with very little to show in terms of sight seeing ! I am off to Hong Kong next week and in my next post show you my visit plot and hotel location selection – Kowloon, Lantau or the Hong Kong Island – Where should we stay ? Very useful article. Am going to try it out when I plan my next trip abroad from a to z, as you are doing routinely.